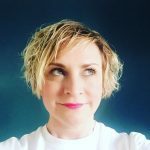 Eve Salter went freelance after 22 years working for Granada Studios and ITV on major TV shows and faced a gruelling schedule to get established independently while also raising her son as a single mother. “The odds were against me even with a fabulous CV. With Costume Designer and Head of Department credits I never needed to network or rely on myself for work before this year. It was just there for me, week after week, year after year and how fabulously predictable and safe it was. This year I’ve made new friends, carved out new career choices, worked on jobs I might not have had the opportunity to and reignited my skills and passion for what I do. I’m looking forward to the new working year and what it has to offer but it’s been hard graft. These are my five essentials that are finally getting me work and getting me noticed and helping me survive this amazing but turbulent profession. It gets you everywhere. Clients spot it and it keeps you alive and creative. It makes you great at what you do and not everyone has it. Passion makes you stand out from the rest and when you’re completely exhausted it still picks you up again. Especially where you wouldn’t think too: surf the net, join as many groups as possible, make lots of new work friends, don’t be shy, don’t stay in the past, look forward not back, use social media platforms like Linkedin, Pinterest and Instagram. Write a blog or set up a website and tell the world how fabulous you are and how much you love costume and what you do. Don’t be scared of critics and support your costume buddies and inspire one another. You might just be good at it. If you’ve got the right people around you you will shine. Get on that overlocker or that heavy industrial sewing machine, work on that feature film or small pantomime. Go for the one you’ve never worked on before and be brave and bold.